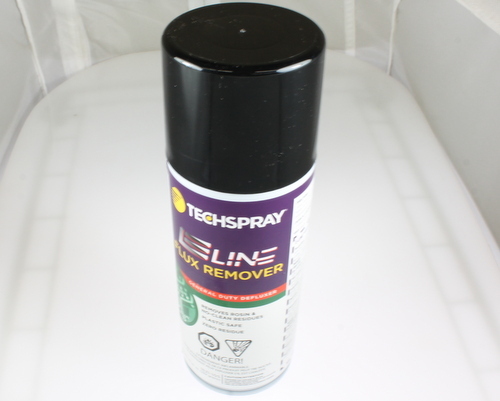 1621-10S E-Line flux remover. 10 oz can. 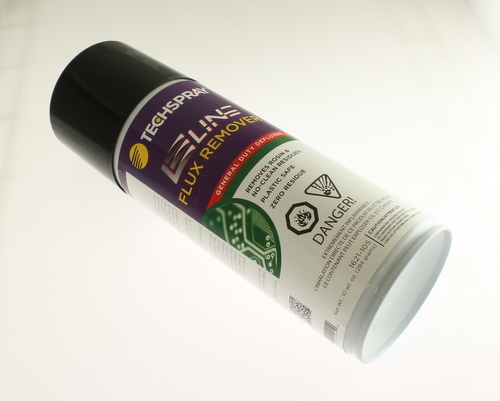 Safe on plastics and rapidly evaporating, dissolves type R, RMA, SA and most no-clean fluxes. Can also be used as an all-purpose cleaner for removal of light oils, silicones, waxes, greases and similar contaminants.